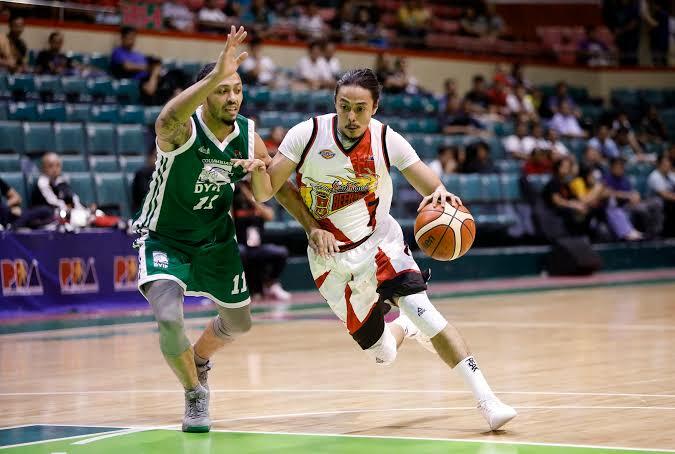 MANILA – Terrence Romeo’s revenge against his former team will have to wait until next conference as he is unavailable when the San Miguel Beermen faces TNT KaTropa in the 2019 Honda PBA Philippine Cup tonight at the Smart Araneta Coliseum. Romeo, who was traded away by the KaTropa to the Beermen during the offseason allegedly due to his bad behavior, sprained his left foot in San Miguel’s match against the Columbian Dyip last week. Romeo sustained his injury after rolling his ankle while stepping on the foot of Columbian cager Rashawn McCarthy, to whom the former also had a shouting match in a game last year. 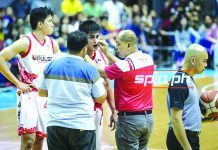 “Terrence, we don’t know yet (when he will return) dahil we don’t want to aggravate his injury. 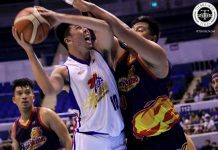 I think he will miss two more games siguro,” said Beermen head coach Leo Austria. 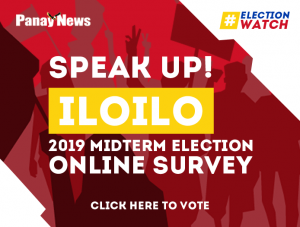 The former Gilas Pilipinas mainstay, for his part, said that as much as he wanted to be present when the Beermen faces his former team KaTropa but he does not want to rush his return from injury. “Titignan ko kung aabot sa next game. Pero ‘di ko kasi puwedeng madaliin eh. 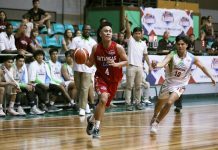 Ang importante, nandoon lagi ‘yung suporta para sa team,” said the former Far Eastern University stalwart. Romeo was surprisingly let go by the KaTropa last December after just two-conference stint with the team after reportedly having a falling out with his KaTropa teammates and his absence without leave in TNT’s practices.